When we understand our purpose, it is a moment of epiphany. I finally realized the huge importance of having a blog and how it can serve to disseminate important information. It dawned on me that health should be everybody's concern and top priority. A recent visit to a one-of-a-kind clinic in Makati City opened up a whole new perspective. A question popped up in my mind "Why should we settle for the traditional approach in medicine when we can also reap the benefits of alternative therapies at the same time?" Integrative Medicine is the wave of the future. 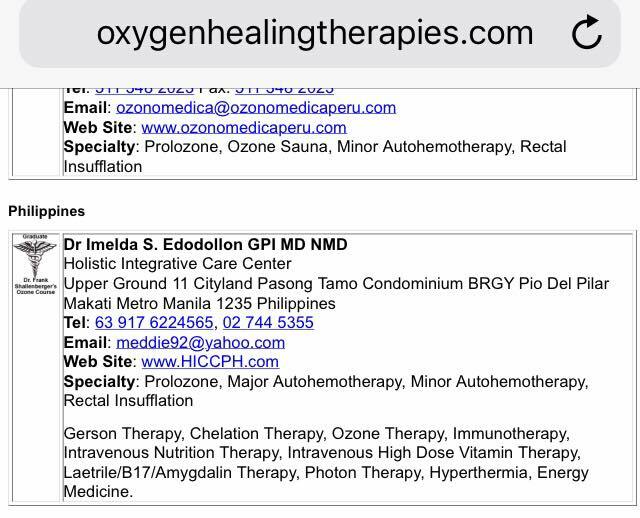 Dr. Imelda “Meddie” Edodollon, MT, MD, NMD, founded Holistic Integrative Care Center a few years back. She has been practicing medicine for almost a decade and it was years ago when she felt helpless as she heard the news of her father's failing health. Apparently, she was able to prolong his life for a few more years, thanks to Integrative Medicine. As a way of giving back, she has been focusing her efforts in maintaining the said facility. 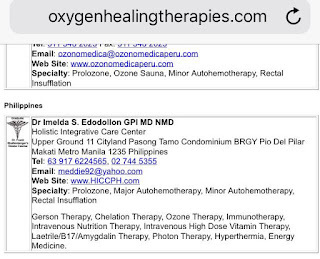 Healing that cares inspired Dr. Imelda “Meddie” Edodollon, MT, MD, NMD in going into Integrative medicine. She believes it is the best approach in healing the whole person. According to WebMD, "Integrative Medicine is healing-oriented medicine that takes account of the whole person, including all aspects of lifestyle. It emphasizes the therapeutic relationship between practitioner and patient, is informed by evidence, and makes use of all appropriate therapies. It isn’t just medicine. Your care team may also design a plan to help you build healthy behaviors and skills -- like smart eating habits and stress-busting activities. These things can keep you healthy for the long term." My tour of the place isn't complete without trying out their services. In a minute or two, I went through a Non-invasive whole body scan. The results were astounding as Dr. Meddie discussed the findings. It was accurate enough to reveal issues with my gut and respiratory concerns. What I loved about it is it did not require blood sample, there was no need for Radiography, and most of all it was painless. My friends can attest how much I despise needles puncturing my skin. The rest of the services they offer are: Therapy Services, Beauty and Wellness, Glutathione Therapy, Infrared Hyperthermia, Coffee Enema, Chelation Therapy, Immune Booster, Mineral Repletion, Photon Therapy, and Ozone Therapy. Rarely do we see such institutions which focus on the patient's wellness instead of profit. In fact, only a maximum of five patients are accommodated in a day as the treatment is almost a whole day process. It is vital that patients are accompanied by relatives in order for them to truly understand their medical conditions, how to take care of them, understand the root causes of their condition and how to make the patients life more bearable since after care is as important as treatment itself. Part of the treatment is consideration of our diet. HICC has a resident Holistic chef to provide advice on what and what not to consume. Arlene Aquino Clemente worked in a vegan restaurant for 2 years and was certified as a holistic raw food chef in Bali, Indonesia. I had the opportunity to consult her regarding my diet and I was enlightened on the importance of what we eat. Unbelievably, a one time registration of P1,500 is all it takes for a LIFETIME consultation. Not bad at all, considering how much a visit to doctor costs these days. Remember to bring these during the consultation: A copy of past and/or present medical records and laboratory results you have, and a list of all the medications you are presently taking including food supplements and over the counter medications. Please also note who recommended or prescribed the above & why. Time is of the essence. We have to take charge of our health and the best time is now.